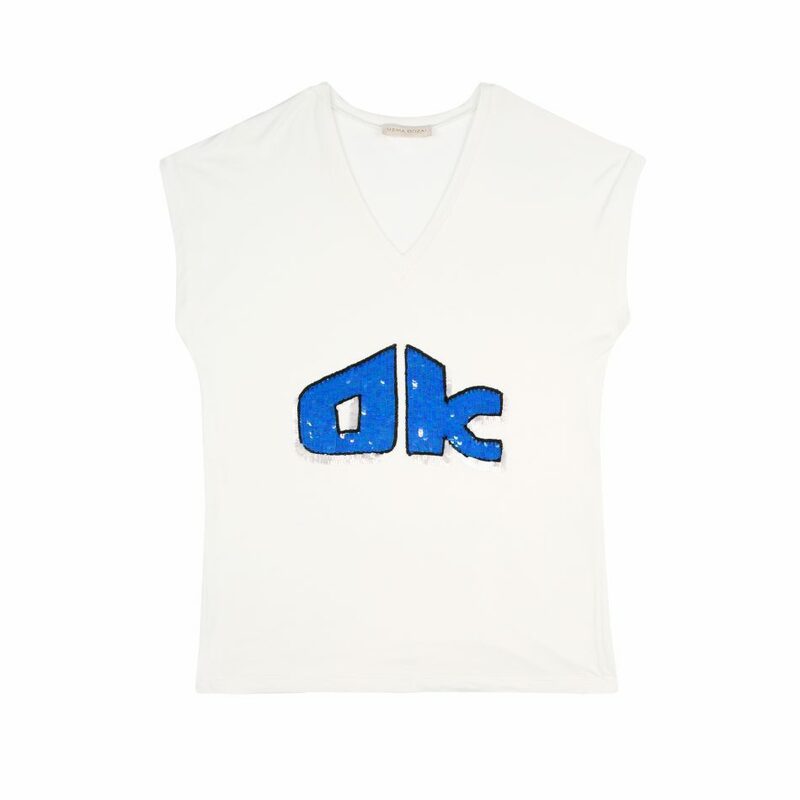 Make a positive statement with our hand embellished OK T-Shirt. Finely hand embellished by skilled artisans, the OK slogan is inspired by India’s intricately hand painted and vibrantly truck art, bringing a touch of psychedelic boho into your every day wardrobe. Team with casual denim or layer with a tailored jacket for the elevated french girl chic with a difference.